So, here I am in Boulder, having made it safely to the Boulder Waldorf Kindergarten. Today was our first day of class with Suzanne. We spent the morning discussing the archetype of the mother, the sense of touch and how it relates to the incarnating child, how the absence of loving touch in the first days, weeks, and months of life can interfere with the children finding themselves in their skin and having the confidence and security which comes from knowing those boundaries, and how that ties in to the sense of Ego (the 1st sense is connected to the 12th sense) and the ability to have healthy Ego to Ego relationships with others as an adult. We learned how it is so therapeutic for children to watch the archetype of the Mother rod puppet as she so gently touches and holds the baby (they are specially designed to hold the baby close) and strokes it, how this can help heal this need for loving touch in children who may have missed it, and how it imprints on the child. 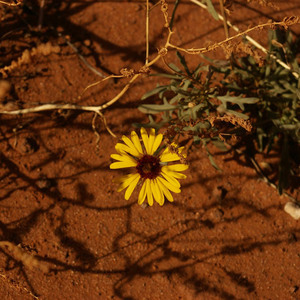 A puppet has been filled with soul by the storyteller but doesn't have the Ego so the child is able to meet it more easily -- there is no bumping of Ego on Ego -- and absorb it more fully. We also learned about the spectrum of skin transparency (from thick skin to thin skin with normal in the middle), the three hearts (as storyteller Nancy Mellon has termed them) that you tap into when you tell a story, and how to set up the story scene, reach all three of the hearts, tell the story, and close the story and put away the story scene. We also practiced with the Mother rod puppets, how to wear them, how to move them in certain gestures, and how to make each movement with the puppet's whole body. If you are opening your arms and saying "Welcome, children" but not doing anything with the rest of the body, the puppet will seem expressionless. We learned how to hold the puppet upright so that it really connects the earth and the universe, how if you hold your puppet askew the children will feel that their world is somehow askew. We also had to practice sitting up straight. Between that and manipulating my fingers and wrist to control the puppet, I was very tired by the end of the morning! It was exhausting work. After lunch we began felting the head of our Mother rod puppet. Mine has blue-green eyes and copper colored hair which she wears in waves around her face and lets hang down long in back. I took pictures of each step in the process of making the head (having bought a new digital camera today -- I couldn't find mine before I left) and I will share them once I figure out how to get them off my camera. I will also take pictures of the toddler and kindy rooms here at the school, as well as the lovely grounds. They have goats! The fridge has goat milk in it which they are going to make into cheese. I promise I will document as best I can because I know that homeschoolers always want to know what a real Waldorf school looks like and what goes on there! Nice that they have two snacks! I know that outside all children are required to wear appropriate hats in the summer and in the winter, and that parents are asked to have their children wear hats even if they play there after school hours, so that it is consistent for the children. Also, they use unbleached cotton string grocery bags for each child's "extra clothing bag" which I think is a very nice idea and I may have us do at Tidewater. They are all organized, labeled, and hanging on hooks in the coatroom. We had extra clothes for my students for paint/water/mud/etc. emergencies and they were in ziploc bags in a big bin which was a pain in the neck to sort through everytime you needed clothes for someone. It was also hard to remember to ask parents to send in different clothing when the seasons changed. Here's my "design" plan. I guess the Plan should be in quotation marks too! :-) This is to help me remember the yarn layout I planned in the store, but I won't take the time to find all the links to all the yarns online. You can email me if you really are curious about one! the Shetland yarn again in Lipstick which is a strong pink and will finish off the top -- I plan to do some kind of fancy stitch here, maybe a scallop thing, although that might mean I have to put in the handle first, so who knows. I really want Nicky Epstein's book Knitting On the Edge and maybe Knitting Over the Edge... I really like her work. 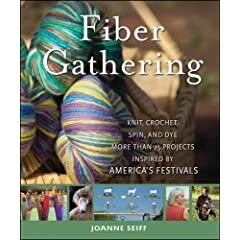 And yes, I also bought a knitting book while I was at the yarn store (I couldn't resist just one) called Fiber Gathering: Knit, crochet, spin, and dye more than 25 projects inspired by America's festivals. It gives great info on the fiber festivals throughout the country (including MD sheep and wool) and patterns too!